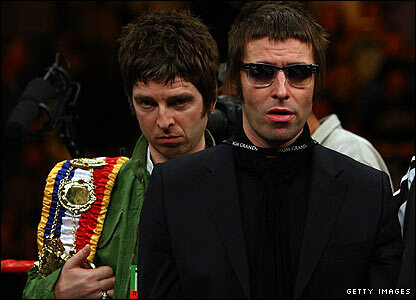 After years of fightings, rivalry, guitars (and fruit) thrown at each other, Noel and Liam Gallagher have been offered to compete in a wrestling match. TNA Wrestling are convinced a few rounds will heal their sibling angst – and push them to finally reform Oasis. A pledge has been sent to the Gallaghers from the American promotors to step inside the ring during their UK tour in January 2016. Jeremy has offered to train Noel and has already come up with a signature move for the guitarist.